The Egyptian Federation of Chambers of Commerce will receive an IT and language training by Orascom Training and Technology. Orascom Training and Technology (OTT), a subsidiary of Summit Holding, recently won the IT General Division of the Egyptian Federation of Chambers of Commerce's (FoCCIT), tender to provide IT, Soft Skills and Language training to its member companies. Throughout the project, which was a part of a cooperation protocol between ITIDA and FoCCIT in 2011, FoCCIT extended training scholarships to its member companies, to enhance the qualifications and capabilities of their employees, and enable them to compete effectively in the marketplace on the local and regional levels. OTT was responsible for delivering the training courses to FoCCIT members. "We are proud to partner with a respected institution like FOCCIT. It is knowledge that develops industries and as such, we, at OTT, hope that this training will not only benefit the individuals partaking in it, but the IT industry at large," said Eng. Amr Abou Ward, Managing Director, OTT. Commenting on the FOCCIT training program, Eng. Khalil H. Khalil, FoCCIT Chairman, stated "We are constantly attempting to provide our members with valuable training programs in order to develop their skills. 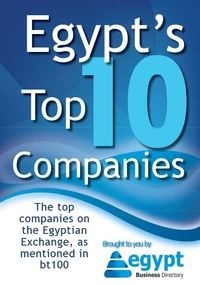 Our members are our most important asset and we aim to provide them with the best available resources; during the project, we were able to train, successfully through OTT, around 300 staff members from more than 20 member companies, distributed over 3 main areas (Greater Cairo, Alexandria and Delta)." OTT has also launched the Improve Yourself Initiative, which seeks to address the problem of youth unemployment by specifically targeting young people aged 18 to 30 to help them enhance their qualifications, understand their career prospects and learn to be more competitive in the marketplace. The initiative offers discounts of up to 75 percent off a wide range of training programs, from IT, business administration and management to enhancing personal skills and language abilities. Commenting on the Improve Yourself Initiative, Magda El Sabee, Chairperson and the CEO of Summit Holding, stated "At OTT, we have been reaching various milestones for our work with the private sector, as seen by the FOCCIT agreement, and we believe that it is important to give back to the community that has helped us get to where we are today. Egypt is our home and we want to make sure that we do all within our ability to develop it for a brighter and better future." Youth unemployment is one of the biggest problems facing the world – and the Middle East in particular. In Egypt alone, one in four under the age of 30 are unemployed. Many live in poverty with few opportunities to improve their situation. It is response to this current reality that OTT has undertaken the Improve Yourself Initiative to address the challenge of youth unemployment.